Well it's that time again ... another month, another batch of cookies! July's recipe is actually on the healthier side, but don't tell Max. 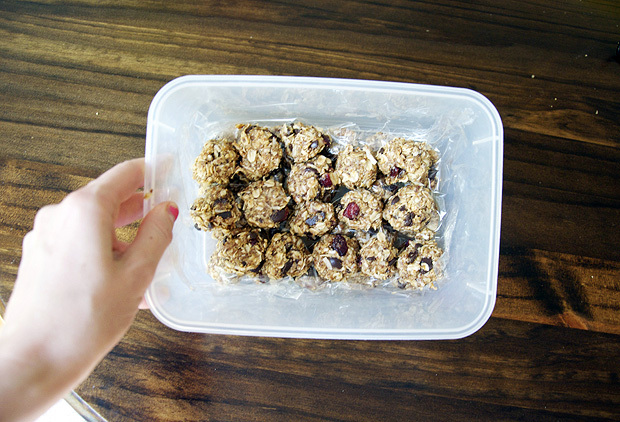 As far as he's concerned, these high-protein, no-bake "energy bites" are the end all be all of cookies! My friend Nychole turned me on to the recipe, and I sat on it for months before finally trying it out. I had gotten into the bad habit of giving Little Wild Man processed kids' snack bars when we were on the run or he needed a quick bite (or as a bribe for him to sit in his car seat. Mom of the year over here!). Sure, I may have bought organic snack bars, but the main ingredient was still sugar, and there was virtually no redeeming health value. So long story short, I made these energy bites instead, and man, were they tasty. And easy. And fast. Ben, who's not usually a cookie person, was licking his lips and asking if he was allowed more, or if he had to save them for Max. I can't lie, I ate my fair share too. 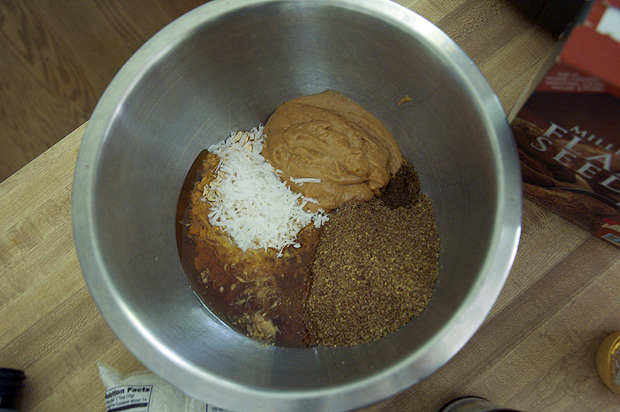 I adapted from this recipe. 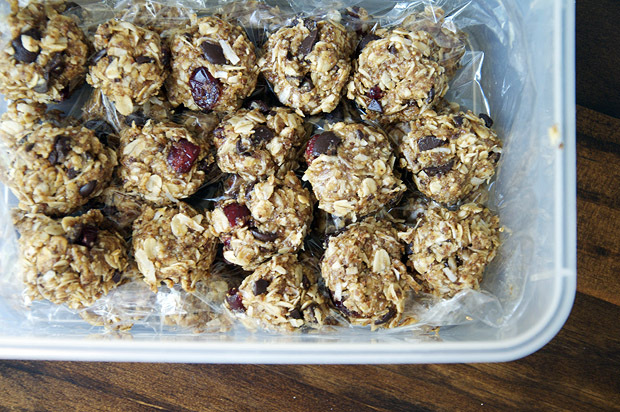 Then just form into balls (I made mine small and bite-sized for easy toddler snacking), and store in the refrigerator. That's it! Our little guy was a big fan. Though the honey adds some sugar, the petite size of these makes portion control a snap.